I do like to pretend that I am abstract artist. I love to put pen and paper together and just see what happens. Last night while I was doing this I looked at the piece and didn’t see anything. 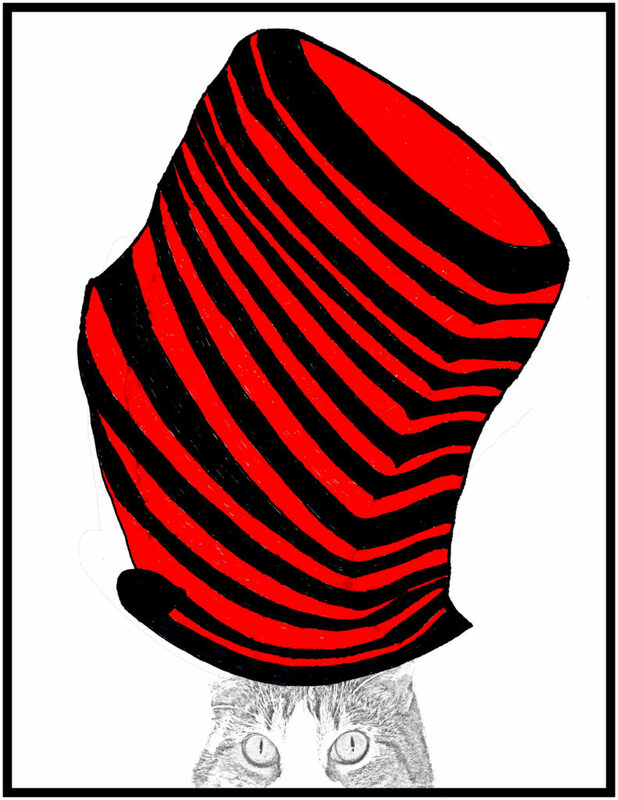 I rotated it 90 degrees and saw a hat. I then thought it would look fantastic on our cat Shadow. After digging through the thousands of pictures that I have taken of this cat I found one where he was looking straight at me. I think the colors of the hat in the original are much better. I haven’t quite figured out how to get scanned ink drawings to look great. Regardless, I think the final piece is fun. Maybe even wall worthy?